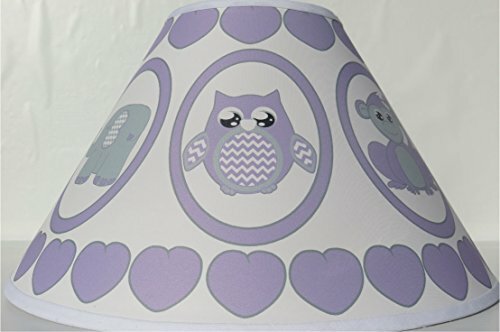 This Purple Safari Jungle Lamp shade is the perfect compliment to our other Safari or Animal Nursery Wall Décor Products, just type in Presto Chango Décor in the Amazon search box or click on the store link on this page to look at our other matching Purple Animal Safari Nursery Décor products. Please Note, The lampshade is a Uno style fitting and is designed to fit most Uno Style Lamp bases with a Standard A19 Light Bulb. If you have any questions about this product by Presto Lamp Shades, contact us by completing and submitting the form below. If you are looking for a specif part number, please include it with your message.